The Indian elephant’s has been captured , tamed and worked by people for more than 4000 years, it stirs the human imagination like no other animal. 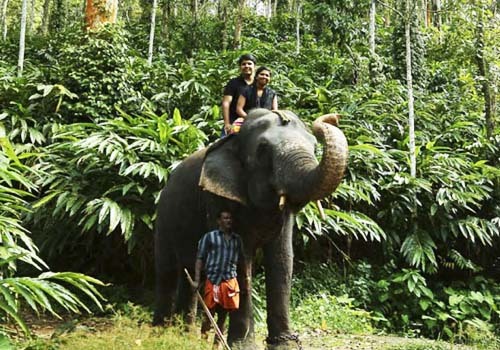 Tourism centered on elephant is developed to provide a better future for unemployed or badly employed elephants .Kerala has developed many well run tourist camps . In this safari you will get a unique experience , seated a top an elephant guest are taken along rides in to the spice plantation to get the good views of valleys and mountains .